The 2016 HDR is out and the news for Salone is depressing and worrying. Much can be said about the Report but I will draw attention to the latest set of statistics revolving around poverty and inequality. I have always questioned the poverty reports claiming that the country has reduced poverty considerably from 2002 to 2012. Why? Because 2002 should not be used as the base year for calculation purposes. 2002 was not a representative year. 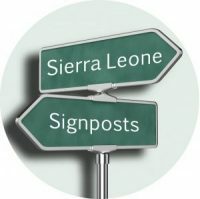 Sierra Leone was just emerging from a devastating conflict where production had diminished to a minimum and in some cases halted. Populations groups were displaced and farming virtually at a standstill. Poverty was therefore abnormally high at the end of the conflict. Although the calculations using 2002 as a base are statistically correct, drawing conclusions from these stats is bound to be misleading. We may not have been doing so well in reducing poverty as the World Bank has previously reported. 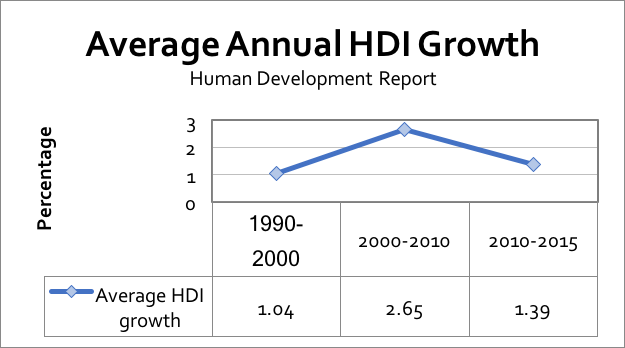 The latest HDI may merely be correcting an anomaly rather than reflecting a worsening of the state of affairs. My next point is that income poverty is easy to calculate but its utility diminishes as the level of inequality in the country increases. In short if the country’s national income increases but 80% of the wealth is consumed by 5% of the population, using the average of the total income to prove that the average citizen of that country is above the poverty line is misleading. The latest figure of 60 – 70 % of the population below the poverty line does not tell us about the true severity of our levels of poverty. Where inequality is high, that average is meaningless. Two indices are calculated for Sierra Leone in the current HDR report; inequality and multidimensional poverty. When the human development index (HDI) for SL is discounted for inequality, the index goes down by 37.8% – a higher loss than in the case of Guinea and Burundi. This means that when inequality is far greater in Salone than these two countries. Similarly, multidimensional poverty calculated for SL reveals that 77.5% are multi dimensionally poor. Meaning, when a household is examined using more detailed indicators for each of the three components of HDI one will find that it is doing very badly for one or more indicators – say health, even though its income is above the poverty line (to illustrate, the household may be getting five million Leones per month – above the poverty line – but unable to pay health bills). If accurate, these statistics are alarming. Disaffection will grow among the populace, and this will not make for constructive dialogue, or positive, enthusiastic efforts to improve the country. Rather, it may likely lead to repression, intolerance, and hostility between those in control of the state apparatus and the citizens. As general elections approach, we need to shift gears. All hands must come on deck to tackle the tasks facing us. I fear that partisan politics will degenerate into a state v the majority-poor scenario. Those in legitimate control of the state apparatus, especially security, and their allies, against the rest. This is not the environment for businesses to thrive, nor for well-thought out policies to prevail. 77.5 and 14.6 % of the population will not happily watch the 8% enjoy their wealth or be satisfied with handouts. Cash grants and salary increases will only postpone the inevitable. As always, the responsibility lies with the powerful to win over, not bully, those who may consider themselves downtrodden and oppressed.